After yesterday’s post about NEXUS’s birthday, it seems only fair to me that we post a vintage shot of Garry Kvistad too. Why should he escape unscathed! 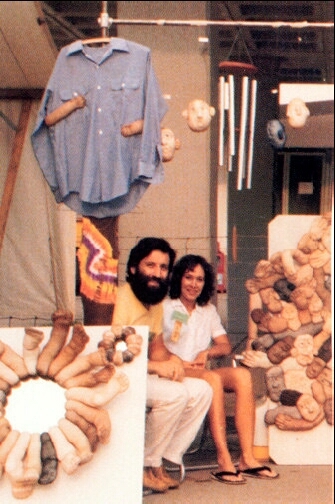 Here is a 1977 photo from Garry’s Woodstock Chimes website of he and his wife Diane at the Cincinnati Craft Fair the day his first Chimes of Olympos were sold. 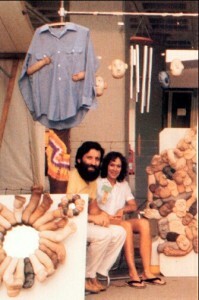 Also in the photo are Diane’s handmade soft sculptures.